The San Benito County Civil Grand Jury released its 2017-18 report and made findings on Hollister Parks & Recreation, the county jail, juvenile hall and San Juan Bautista schools. The Civil Grand Jury is comprised of 19 local residents who meet throughout the year and investigate matters in local government. The grand jury issues a report in hopes of shedding light on public institutions and helping to improve conditions. The civil grand jury is completely separate from a criminal grand jury that is convened to consider criminal matters. The foreperson of this year’s grand jury was John Campos, and he noted in an introductory letter that the group struggled initially with the complexity of these investigations. “In the beginning, we were surprised by the enormity of challenges and complexities required to conduct investigations,” he wrote. Campos noted that by late fall, the group “had a clear vision” on requirements, but he did suggest in the future that training be paid for in advance, maintaining an abridged grand jury handbook, and also having some holdovers from year to year. The grand jury explored ways for the department to strengthen public image, increase residents’ participation, explore more funding opportunities and expand volunteerism. The jury found challenges with the department communication with the public on meetings and class scheduling, along with distribution of improvement plans. The grand jury found that recreation classes should be more inclusive by providing classes to developmentally and/or physically disabled residents. “There seem to be no classes for youth or adults with developmental and/or physical disabilities,” it noted. 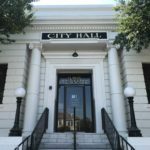 Members also concluded that the master plan draft for Hollister should be available to the public for review on the department website, and that the department was inadequately funded. The report noted the types of classes offered but pointed out the department does not apply for any grants to support programs. It does receive support from organizations like the Police Activities League and local businesses. Grand jurors alluded to ongoing population growth and mentioned residents have access to three county parks and 17 city parks, and that they’re well maintained. Some have restrooms, while some have few trees and shrubs, the report stated. Currently, a draft master plan is underway for McCarty Park funded by a grant. The report went on to discuss a perceived lack of public participation on park developments and improvements. “Communication between the Parks & Recreation Departments and the public appears inconsistent,” jurors wrote, mentioning just eight residents attended a meeting on the master plan for McCarthy Park and that some meetings have been canceled due to lacking quorum with little or no notice to the public. The report suggested better use of social media and other media outlets for promotion. “Many of the San Benito County residents commute and the 6:00 PM time may be challenging for them,” the report stated. The grand jury customarily reviews the county jail and juvenile hall in its annual reports. This year, the civil grand jury concluded that all staff members were responsive to requests, the building was clean and well kept, the inmate processing area was the same, and the health care area was in good condition as well. Female inmates are allowed exercise every other day, while males receive it every day in the yard. The jail’s plan for expansion by 2019 does not include an objective to increase the yard size, the report stated. Many of the appliances in the kitchen do not work. There is a staff shortage and shifts are often covered by overtime. The county does not have enough medical staff to cover a full 24-hour day; nor does it have staff to support mental health needs of inmates, the report concluded. Meanwhile, programming like counseling, education and rehabilitation need improvement. The grand jury recommended, among other things, to open the food staging area to a full functioning kitchen by replacing non-operational appliances, allowing inmates to further develop skills. Carpet needs replacement throughout the facility. There are missing or water damaged ceiling tiles in the recreation area. Internal locks are worn and did not open easily. A basketball hoop was damaged. There were a number of trip hazards, including potholes in the grass from gopher infestation, and splits along the edge of the asphalt where it meets grass. 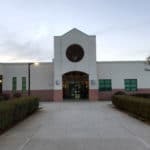 The grand jury recommended that the county board approve requests for funding by the juvenile hall to complete repairs and improvements to the facility. The San Juan School Cafeteria, which provides all meals for San Juan School and Anzar High School, was well organized and extremely clean, with the kitchen area clean and orderly. 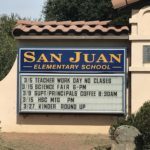 The San Juan School grounds, maintained by two full-time custodians and a district landscaping crew, were extremely well maintained. The San Juan School playground was well maintained with no safety concerns visible. The San Juan School library was well maintained and clean. The San Juan School bathrooms were well maintained and clean. “We did learn, however, that the drinking fountains were turned of all year due to an unknown water issue and bottled water was being provided for the students.” But the grand jury learned the water problem was corrected and the fountains turned back on. The Anzar grounds, meanwhile, were extremely well maintained, the jury concluded. Anzar student bathrooms and locker rooms were clean as well. The grand jury concurred with the district that an additional full-time landscaping employee would be helpful to accommodate weather events such as downed trees. The reported stated that the district representative misunderstood the grand jury process when conducting interviews with employees/witnesses. “If a principal is available on the day of a site inspection no District representatives are required to accompany members of the Grand Jury and all employees are welcome to answer questions if time allows during the visit,” the jury reported. The site inspection overall revealed that both schools are better maintained now than in the past. “It is evident that both school personnel and the students take great pride in their schools,” said the report. “This is a direct reflection on the outstanding leadership provided by both school principals, their custodial personnel as well as the District Office. The report recommended that the district take advantage of training material provided by the grand jury on the grand jury process and to contact other districts to familiarize itself with it. Look back for more on the 2017-18 civil grand jury report.